Our only photo greeting card featuring a non-native species. The garden lupine attracts visitors to the White Mountains of NH every summer. 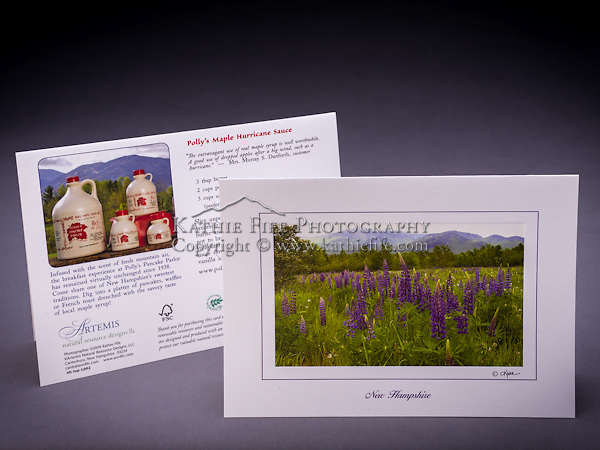 This card is a custom design for Polly's Pancake Parlor, located in the same town where this scene was photographed, in Sugar Hill, NH. Also available as a fine art print.